Koi ponds are definitely stress reducers. Koi pond kits reduce the stress of building your koi pond. Often they can save you money and time. You can find koi pond kits in any size you wish. Complete koi pond kits will include everything you need to build your pond. The proper water pump to properly pump the amount of water in your pond. Many will have timed speed changers so your pump doesn’t constantly work at the highest settings. This is a money saving feature. Thermometers for the pond. Your water needs to be maintained at temperatures above 50 degrees to keep your fish growing. If the water drops below 50 degrees for a prolonged period the metabolism of the fish slows down and they do not eat. Consequently their growth is hindered. Pond heaters that are thermostatically controlled will be necessary if you live in a part of the country that has prolonged winters. The heaters will automatically stop if the pump loses power. Pond skimmers to use if you have trees in the immediate area of the pond. This may not be a necessary part of your personal koi pond kits. Ultraviolet light systems will eliminate green water. While the fish can handle the murky water, you will not be able to see them very well. UV lights also kill some parasites, viruses and bacteria. A vacuum system can be included in koi pond kits. They will be helpful when cleaning the pond, especially when you are preparing seasonal maintenance. Fountains in several different materials and bronze statuary are available in koi pond kits. Emergency power supplies that contain a voltage converter and trickle chargers to be there if there is a power failure. Pond chemicals should be a part of every kit. They will help to maintain proper alkalinity, salinity, chlorine content, fungus, parasites and other things that can cause issues in the koi pond. 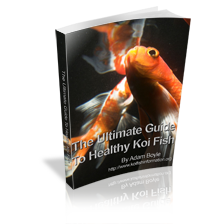 Many koi pond kits also include the koi fish, koi food, koi nets, books, pond plants, floating heaters and a quarantine tank. Koi pond kits can be personalized to suit your needs. You can add or subtract items as you wish. The above list is everything you need except the labor. Labor begins before you get the kit. Plan your pond. Choose an area that will be ideal for your family. Using a rope, garden hose or other lengths of materials, lay out your pond. Once you have done that, measure the area to be sure you purchase enough of what you will be needing. This will include the lining as well as the number of fish. A 2000-gallon pond can handle approximately 20 fish. Any more than 20 will be overcrowded and will cause waste issues. If you cannot dig the pond yourself with the necessary heavy equipment, there are professionals that can be hired. The pond must be at least three feet deep. Four to six feet is preferable. That is a large hole to dig. Maintaining your koi pond must be done on a regular basis. The books that are available can instruct you on proper maintenance. The people that sell koi pond kits are also excellent resources for instruction. As you can see in the list, fish can be part of the kit. Once you have your pond set up in your yard, the decorating can begin. You can set an area around the pond to sit and relax. You will find immediate stress relief as you sit and watch the calm, beautiful koi swim in their new home. 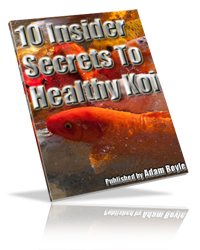 As you give them their daily feedings, you can check for parasites or other undesirable things that can often strike the koi. Purchasing koi pond kits is an excellent way to begin this new and intriguing hobby. If you choose to dig a larger pond or another pond, you will not be the first person to do so. They are captivating and will provide you with all of the pleasure you desire.